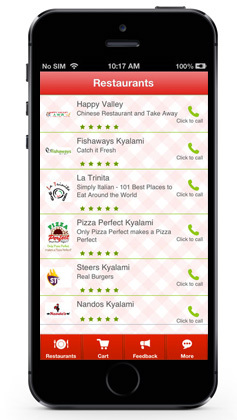 A new local application, Appetite, wants to give hungry South Africans easy access to their favourite takeaway joints, right from their smartphones. The app, which has been been in development for the past 18 months, has already clocked up 7 000 users and the company behind it has set its sights on a much bigger roll-out in the coming months. Appetite founder Chris Davis came up with the idea for app while driving past a number of takeaway restaurants, ravenous. He was looking for an easy way to find a restaurant in his area and place an order with ease. Appetite has four teams working on the app, with outsourced developers spanning the globe. When Appetite was launched, it featured only restaurants in Midrand and Kyalami, but has since added Centurion, Rustenburg, Alberton, Silver Lakes and a large number of supported restaurants in Fourways and elsewhere in Johannesburg. 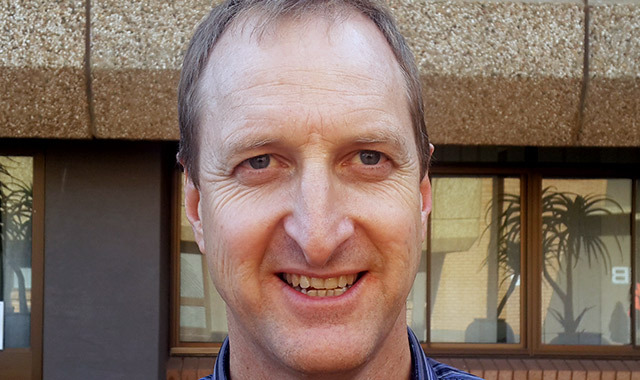 Although Gauteng is the only province supported for now, Davis has big plans to grow into the rest of South Africa. Funded by Davis and business partner Rynhard Roos, Appetite is developed by Conclude, an electronic form technology company that Davis founded in 2004. He says he wants Appetite to be spun off into its own business eventually. The app was designed to list restaurants close the user’s location first, but this result can be customised. Users can also search for restaurants by name or food style, and there is a filter to display only restaurants that are Halaal-certified. Once a restaurant is chosen, users can browse the menu and add items to the cart. If they have a specific request, the details can be added as a note to each item. The app can also be used to place takeaway orders for collection. At restaurants and takeaways, Appetite can be installed without interfering with existing point-of-sale systems. At the heart of the solution is a mobile network-connected printer that prints the orders for a restaurant directly from the app. To acknowledge the order, the restaurant types in the expected delivery time of the food, which is sent via SMS and e-mail to the hungry orderer. Delivery is dependent on the establishment. Third-party delivery services like Mr D are not yet integrated, though Davis says he is working on this. Payments on Appetite are facilitated by PayGate and the app accepts Visa and MasterCard. For now, menus are updated by the developers, but Davis says they are working to give the restaurants the ability to update their own menus. Appetite has attracted about 200 restaurants so far. It hopes to add a further thousand in the “short term”.